Obituary for Jeanne S. Marescot | Cyril F. Mullins Funeral Home Inc.
Jeanne Sernecia (Derisne) Marescot, age 82, of Bridgeport, passed away April 10, 2019 in her home. She was born in St Jean Haiti and was a longtime Bridgeport resident. 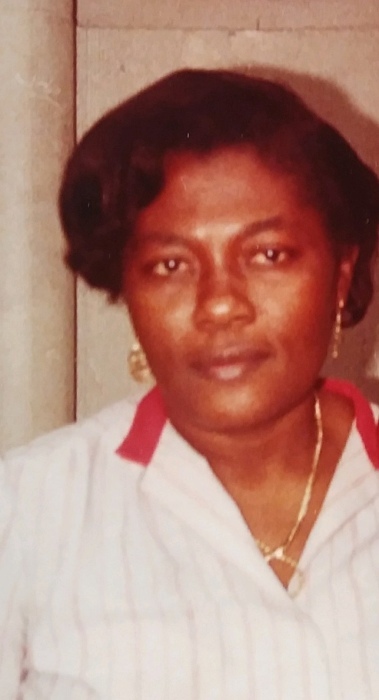 She worked as a home health aide for many years, She is survived by her devoted children Vicky Marescot and her husband Rigaud Edouazin and Michena Marescot; her sister Esta Derisne; two cherished grandchildren Nathea and Shefann Allonce. Friends and family may attend her funeral services on Wednesday at 11:15 a.m. at the Cyril F. Mullins Funeral Home, 399 White Plains Rd. Trumbull and at 12:00 p.m. at St. Charles Church. 391 Ogden St. Bridgeport. Friends may greet the family on Wednesday from 10:00 a.m. until the time of service. Entombment to follow in Oak Lawn Cemetery, Bronson Rd. Fairfield, CT. Reception will be held from 2-6 PM at Germania Schwaben Club located at 410 Horace St. Bridgeport, CT 06610.